Non-need based: based on either merit, nationality, gender, professional background, leadership abilities, field of previous studies etc. For all INSEAD scholarships we require applicants to provide accurate details of their financial situation. The INSEAD scholarships below are available for both the Fontainebleau and Singapore campuses, unless specifically mentioned. All our scholarship applications are on-line except where mentioned in the scholarship description. To submit an application, first follow the Scholarship Guide below and get yourself registered. The majority of scholarship awards will be allocated to Rounds 1 and 2 candidates. Twenty percent (20%) of the funds will be reserved for Round 3 candidates. Waitlisted candidates are encouraged to apply for scholarships within the deadlines indicated below. Your scholarship applications will be reviewed while you are still on the waitlist. Scholarship applications for Round 1 candidates should be submitted after applicants receive their final admission decisions, whereas scholarship applications for Rounds 2 and 3 candidates should be submitted at the interview stage of the admission process. Need-based scholarships: many of the scholarships in this category will be kept aside for Round 3 applicants. L’Oreal: candidates must demonstrate a capacity for creativity and innovation through diversity and entrepreneurial activity. To access the scholarship application form on-line, you will first need to register. Upon registering you will receive your personal login ID and password to navigate through the scholarship website. Throughout the period that the on-line application is available, you can modify or withdraw your scholarship applications as you please. You can track the status of your on-line application with the help of your scholarship login ID and password. Applications must be complete and submitted by midnight Central European Time (GMT +1) on the day of deadline. We regret we cannot accept any scholarship applications after the deadlines as the site will be closed. For the December Class, scholarship decisions for Rounds 1 and 2 will be communicated by e-mail by the end of September/early October and for Round 3 by the end of October. For the July Class, scholarship decisions for Rounds 1 and 2 will be communicated by e-mail by the end of March/early April and for Round 3 by the end of May. 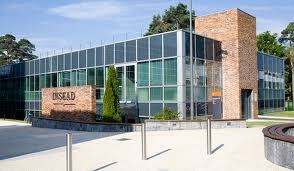 19% of the 2010 classes received INSEAD scholarships for an average amount of €11,200. INSEAD aims to allocate its scholarships funds across the class. Only occasionally is more than one award given to a student. Applicants in Rounds 2 and 3 will be encouraged to apply for scholarships after being selected for interviews. Demikian kami sampaikan tentang MBA Scholarships 2011, INSEAD semoga informasi tentang MBA Scholarships 2011, INSEAD ini bermanfaat.